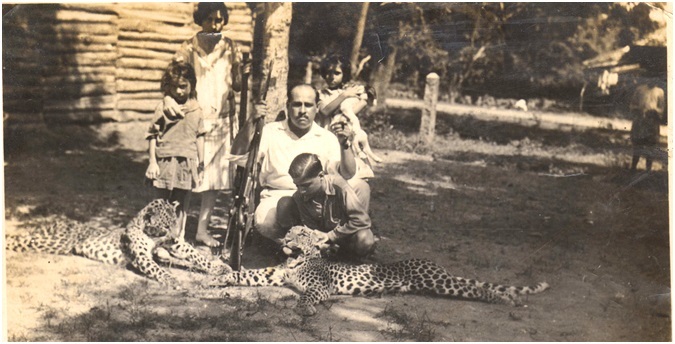 Editors Note: About seventy years ago in early 1930s Anglo Indians started a unique colony in the jungles of Chottanagpur which is today known as McCluskiegunj. The Anglo Indians called the place their Mooluk (homeland) and positioned the place as Chotta England (Little England). That dream today lies dimmed, with most of the Anglo Indian families having migrated. However people like Malcolm Hourigan, an Anglo Indian resident of McCluskiegunj, believes that the dream cannot be written off yet. Malcolm runs a student hostel at McCluskiegunj, writes a popular blog on the Gunj, documents the history of the place and lobbies for betterment of the place. This article has been written exclusively for Probashi by Malcolm. On 11 Feb 2014, Anglo Indian residents of McCluskiegunj held a meeting at the Don Bosco School to reconstitute the long defunct burial ground committee. McCluskiegunj graveyard, itself tells the story of decline. While the older parts have stone and marble graves , the newer ones are unmarked. I silently sat through the meeting, thinking whether we will need the services of our burial ground for long. There are only 6-7 Anglo Indian families left in McCluskiegunj, compared to it’s hey days when about 350 such families called McCluskiegunj their home. Has destiny given these last remaining families the job of playing the Last Post as McCluskiegunj slowly faded into history, I wondered. A long forgotten saying by Norman Cousins came shooting back “the tragedy of life is not death, but what we let die inside of us while we live’. In those lines came a flurry of thoughts. Probably we can still make an effort to revive McCluskiegunj. Probably the Merediths, the Jennings, the D’Rozarios, the Barretts, the Hourigans, the Perkins, the D’Costas or the Mendies hold on to the fort. Probably the Mundas, the Prasads, the Singhs could be partners. Probably we could preserve the legacy of McCluskiegunj for the posterity to remember. Probably we could even hope that Anglo Indians from across the world and India would trickle back. Probably we could hope to complete the unfinished painting which ET McCluskie started with a flourish on this 10000 acre canvas. It is with these hopes that I write this article. 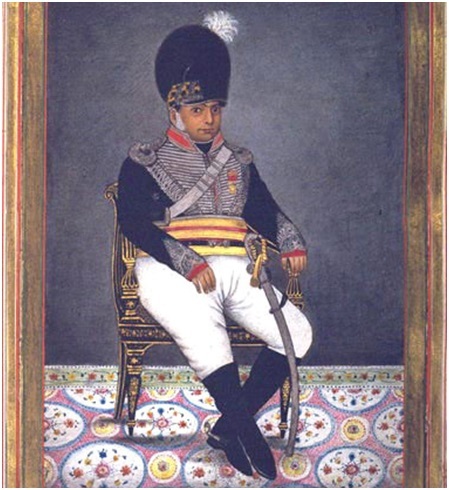 James Skinner (1778- 1841), son of a Scotsman and a Rajput woman was the first Anglo Indian to achieve distinction. He raised a freelance force, which fought on behalf of many Indian ruling princes. Skinner’s irregular cavalry was called “Skinners’ Horse”. It became the finest regiment of the East India Company. Skinner’s Horse later became a part of independent India’s Army. In 1978 the Indian Government issued a postage stamp to celebrate 175 years of the Skinners’ Horse Regiment. At the stroke of the midnight hour on 15 August 1947, when the Anglos were leaving India and the Indians were taking over, one community was left in the cusp of destiny – The Anglo Indians. The Anglo Indian is a term used to describe people of mixed British and Indian parentage (the Constitution of India has a broader definition for Anglo Indians and includes individuals with mixed European and Indian heritage or Europeans who have become naturalised citizens of India) , found themselves in the lurch. They were not welcome in Britain, and were looked with suspicion by the Indians. This community had been the nuts and bolts of the British administration fuelled by its knowledge of English and the trust factor of a shared ancestry (though in parts). Anglo Indians ran the Customs and Excise, Post and Telegraphs, Forestry Department, the Railways, Shipping, Tea, Coffee and Tobacco plantations, the Coal and Gold fields. Anglo Indians became teachers, nurses, priests, doctors and secretarial assistants. The railway colonies across the country from Khurda Road to Ajmer had Anglo Indian enclaves with its red tiled bungalows, manicured lawns, card games, pretty babies in prams, wives playing badminton in the evening, music, dances, lots of tobacco smoking and drinking at the club house. The Sunday church congregation would see them in immaculate western turnout. However not all Anglo Indians lead a privileged life. A number of them could be found in the slums and poor parts of urban India especially Kolkata. Here they were called ‘Safed Chooha’ (white rats). One has to read the book Indian English by Jillian Haslam to get this perspective. The Anglo Indians developed a distinct culture and a world outlook given their mixed parentage. Of the many rituals which are uniquely Anglo Indian, one which I remember from my childhood is the baking of the Christmas cake. Each Anglo Indian homemaker had a secret cake recipe handed down to her by her mother or mother in law. The local baker would come home and the lady of the house would provide the ingredients and have the same mixed under her supervision. The mixed ingredients were put into a dozen of cake tins, with the family name written on the cans, lest the baker mixed up. Nothing could be more blasphemous than baker returning in the evening with someone else’s cake. The building up of an Anglo Indian community was a part of a well thought out strategy of the British. The East India Company would encourage its British male employees to take up Indian wives so as to create a community with mixed ancestry. This mixed community was expected to be a buffer between the British and the local population. The East India Company paid 15 silver rupees for each child born to an Indian mother and a European father. To the British however, the Anglo Indians were convenient but never equals. Their knowledge of English and loyalty to the Anglo roots were critical qualifications. To the Indians they were the ‘Kutcha Sahibs’ (half baked English) – cogs in the wheel of the British India, whose loyalty lay with the enemy. This distance maintained by the British with the Anglo Indians persisted despite significant contribution by the community. During World War 1 about 8000 Anglo-Indians fought in Mesopotamia, East Africa, and in the European theatre – eleven Anglo-Indians were awarded Victoria Crosses. In World War II they fought at Dunkirk and Anglo Indian pilots flew in the battle for Britain. The contribution in the battle field continued even after India got Independent- Air Vice-Marshal Maurice Barker was India’s first Anglo-Indian air marshal. At least seven other Anglo-Indians subsequently reached that post, a notable achievement for a small community. A number of others have been decorated for military achievements. Air marshal Malcolm Wollen is considered a hero of the 1971 Bangladesh war. semi-finals of the 1960 Olympics in Rome. The captains who came face to face were both Anglo-Indians, Leslie Claudius representing India and Kevin Carton representing Australia. It was as early as the 1920s that the Anglo Indian started to feel alienated. While on one hand political compulsions made British to accommodate Indians in government jobs, hitherto the monopoly of the Anglo Indians. On the other hand the burgeoning Indian Independence movement had started to put faint lettering on the wall that it was a matter of time that the British would be forced to leave. The Anglo Indians did not know which side to take. They feared that neither British would take them; neither Indians would want them to stay. It was time for the 8,00,000 strong Anglo Indians to reassert themselves as a community, or risk being bypassed and subsumed. Every race needs symbols to rally around and a homeland is one such powerful symbol. 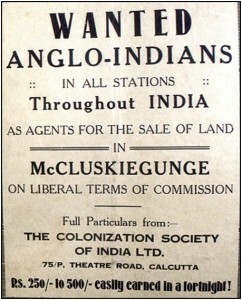 The Anglo Indians had none, and they attempted to create one, which was to be known as McCluskiegunj. The drivers in the mission to create the Anglo Indian homeland were two prominent Anglo Indians- Sir Henry Gidney and Ernst Timothy McCluskie. Sir Gidney, a brilliant medical doctor and a colourful personality petitioned the British to grant swathes of land in Andaman and Nicobar Islands where the Anglo Indians could establish their homeland. An advance party of ten Anglos was sent, of whom three perished and seven returned home after a year. The portend did not seem favourable. The rather preposterous idea was rejected by the British. 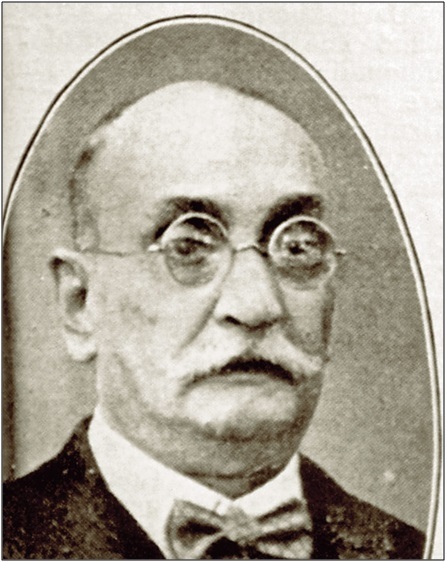 ET McCluskie, a businessman and friend of Sir Gindy, was the part of the Anglo Indian elite in Calcutta. His father was an Irish railway man and his mother an Indian Brahmin , McCluskie had a more practical proposition. He had been able to convince the Raja of Ratu ( in Chotanagpur plateau) to lease out 10000 acre of land on a perpetual lease near the station of Lapra, about 62 kms from Ranchi. Here he proposed to setup the homeland for the Anglo Indians. The location offered the three Rs essential to McCluskie for the success of his dream- Railway, River and Road. However McCluskie had forgotten one important R- Remuneration (Livelihood) which was to be the nemesis. We will return to the demise of McCluskiegunj later. 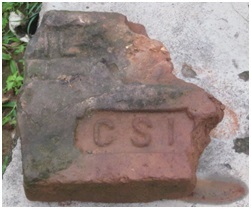 The Colonisation Society of India, a cooperative, was formed in 1933 into which the Anglo Indians could buy shares and get a plot of land in return. The membership was given to people with European lineage, not necessarily British. So Portuguese Indians, French Indians etc also bought land. McCluskie, an astute marketer, appealed to the sense of pride in Anglo heritage. The prospectus of the Colonisation Society extolled how a country of Anglo Indians will rise and show to the world what Anglos were capable of, and earn respect of all communities of India. Here would be a ‘Chotta England’ (small England), amidst the salubrious environment. And Anglos will cultivate the land and sustain a community as blue blooded as possibly can be – a corner of India culturally forever European. Many bought into McCluskie’s marketing glib. The Anglo Indians came to this wilderness and built their Anglican bungalows with flower gardens and tiled slanted roofs. They built two churches, a club, a abattoir, a post office, poultry farms and horse stables. They brought their pianos, their heavy wooden chests, their riding breeches, their rifles and shotguns, their chatter, their party gowns, lace curtains, rum cakes and beer. Through the verdant forest would waft the voice of Helen Morgan singing ‘Why I was born’. and other wild animals had to be countered with. Being a good hunter was a necessity to be able to make the forest a home. It is to the credit of the pioneers that the land was made hospitable for setting up of the settlement. This is the Thorpe family of McCluskiegunj. They own property here which is being claimed by the Malhaar tribe. The old caretaker expired and her kin took charge and care of the bungalow and property, measuring nearly 7 acres, since then. There is a real threat of the property being encroached and the current caretaker needs to get in touch with the owners. The info about Robert Thorpe is that he is in Australia , but no phone number, or email or surface address is available with anybody here in the Gunj. This is the story of many bunglows at McCluskiegunj. McCluskie despite his business acumen has erred on a very basic point. He had expected that the Anglo Indians- the erstwhile railwaymen, box-officewallahs and teachers would turn out also to be expert farmers. The livelihood options other than farming were rather limited at this place. 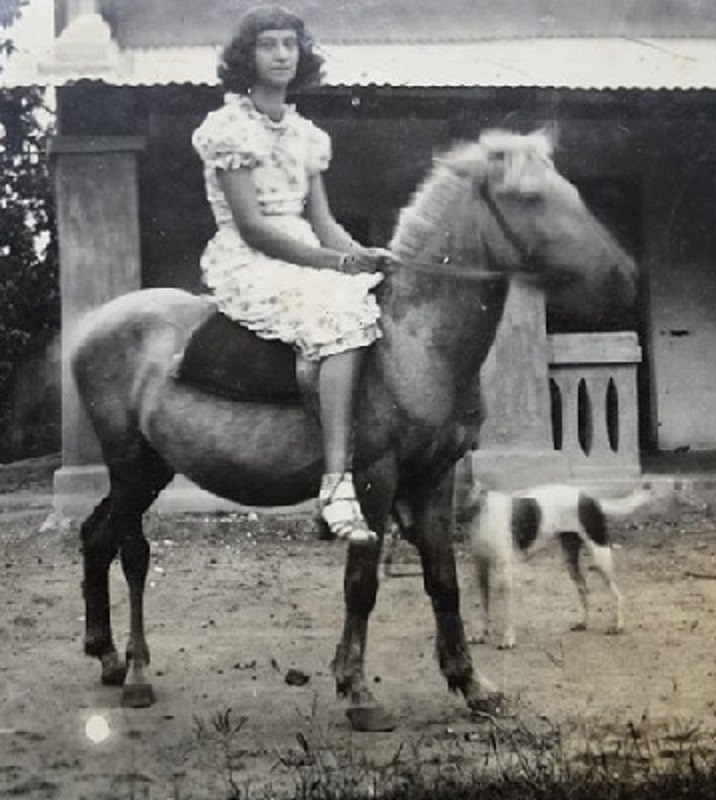 The highly anglicised and better off Anglo Indians who could afford to buy land at McCluskiegunj were not ready to roll up their sleeves and start to farm. Another factor stood against the McCluskiegunj dream. Anglo Indians who were mostly service class did not have the business acumen, penchant for savings and acceptance of a spartan living in their psyche. The economic base of McCluskiegunj was not based on any realistic assumptions and would eventually lead to its downfall. Take the case of my maternal grandfather Harris Mendies. He ran the only bus service out of McCluskiegunj called the Ganga Jamuna bus service. This once a day operation connected McCluskiegunj and Ranchi. He also had stake along with a Sikh gentleman in an ice factory in nearby Ramgarh. Harry Mendies was a big spender and did not have a single atom in his body which allowed him to save for the rainy day. To make things worse, he had to maintain a large family of 11 members. With competition coming in, the bus service business started to falter and income began to dwindle. However Harry refused to make proportional reduction in his spending habits. Soon the stake in the ice factory was sold. With financial crisis refusing to abate, the seven inherited bungalows were disposed one after the other. Things came to such a pass that in his later years Harry had to borrow money for a swig of country liquor. I am not writing this to deride or make a snide comment on my grandfather, but am mentioning this as an example of how the Anglo Indian community allowed the initiative to make McCluskiegunj a happening place slip. The Dobson Cottage in McCluskiegunj, now no longer exists. The Dobsons migrated to Kolkata and the bungalow became derelict. After McCluskie died in 1935, the Lapra settlement was named as McCluskiegunj. However by 1940 the game was up, Only 1/5th of the Rs.500000 paid up capital was subscribed. Only 6800 acres had been sold and eventually by 1955 the Colonisation Society has folded up. McCluskiegunj was a place for retired people, others started to move out, some to foreign lands or to cities for jobs. Unlike the Parsis who made Jamshedpur into a thriving industrial area, the Anglos could not repeat a similar feat. The fate of McCluskiegunj fell prey to an experiment which had not factored in the economic variables. Most of the younger generation left Chota England (as McCluskiegunj was known) for Bada England (United Kingdom), Australia and United States. My father’s elder brother and younger sister were amongst the early out migrants. Migration has its sad tales also. My mother’s elder sister Dorothy migrated to England, and this was the last we heard of her. Despite searching of her whereabouts through common friends in England, she could not be traced. We shudder to imagine that she might be dead, with no family near her during her difficult times. Some left for city jobs. However aberrations like me came back to McCluskiegunj to keep the faint flame alive. When I came to McCluskiegunj in 1997 there were just 12 Anglo Indian families down from it’s hey days of 350 odd Anglo Indian households. 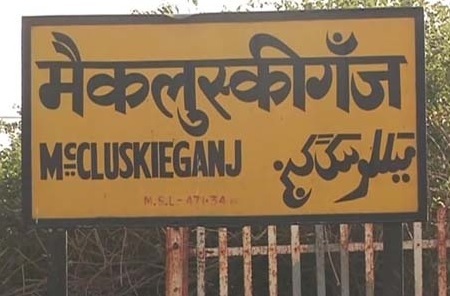 My connection with McCluskiegunj goes back to three generations from both my paternal and maternal side. My maternal great grandfather who was an British gentleman came to McCluskiegunj as one of the early pioneers. In previous paragraphs I have spoken at length about my maternal grandfather, Harry ­Mendies. My paternal side are Irish and relatively new to McCluskiegunj. My grandfather came from Bengal in 1970ies and settled here. My father was employed with TISCO. My childhood was mostly spent in a place called Ghato better known as West Bokaro in Hazaribag district. However I do have great childhood memories of McCluskiegunj where I used to come during holidays. I after doing a number of jobs in Kolkata ultimately succumbed to the calling of McCluskiegunj. My coming back the demographers would term as an instance of reverse migration. This was in midst of other Anglo Indian families out migrating from McCluskiegunj. Why did I come back to a place being abandoned by others. To me the reasons are simple – I liked the serenity of McCluskiegunj, the footprints of my ancestors were here, my wife Charmaine once had family (the Thipthropes) here, and importantly a new livelihood option had come up in McCluskiegunj. In 1997, the Don Bosco Academy started a school at McCluskiegunj on the initiative of Alfred George D’Rozario who was then the MLC of undivided Bihar. Being the only English medium school in the region admission seekers flocked in, far outstripping the seats available. It is to the foresight of Mr D’Rozario that it was deliberate strategy of not having any lodging facility for students at the school. The hostels were to be run by the Anglo Indian families at McCluskiegunj from their residences. and Gordon’s Hostel. I run the Saint Luke’s Hostel. While McCluskiegunj is not known widely, it is quite popular with tourists from West Bengal for which the credit goes to the Bengali writer Buddhadev Guha. 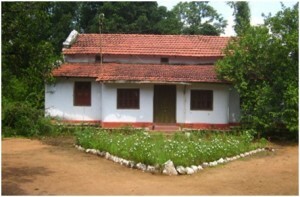 He owned the bungalow “Manjulika”, named after his mother. He wrote many of his works at the Gunj. The novel Ektu Ushnotar Jonno is a love story based in McCluskiegunj. Aparna Sen owned a house here and Uttam Kumar, the Bengal super star, visited McCluskiegunj for shooting of his film Shiulibari (1962) along with Arundhati Devi his co star in the film. The old timers recall the lost glory of McCluskiegunj. Noel Gordon then a boy of 8-9 years moved to McClukiegunj with his family from Kolkata. Back in 1958 it seemed to be a good idea, to move into an enclave which had familiar people with similar tastes. Uncle Gordon recollects that the train to McCluskiegunj would steam in from Barkakana at around 4.30 in the morning. Today Uncle Gordon and his son Nelson (Bobby) run the only guesthouse in McCluskiegunj called the Gordon Guest House. During Uncle Gordon’s time there were many Anglo Indians to be seen in McCluskiegunj, and it had a life of its own. There were bakeries and departmental stores run by Anglos. The goods available in the shops here were not even available at Ranchi, may that be good quality cosmetics, China silks or the latest gramophone records. And there were Austins for long drives and a lift in a bullock cart for short trips. Walking was not only a good idea but also a necessity, since the bungalows were far flung and the nearest neighbour out of line of sight. And there used to be Puja balls and Christmas carols and the dances at the club were ever so popular with the residents. And there was Mrs Thipthrope whose jams and jellies were famous not only in the town, but people from Delhi would order for her products. She is no more and no one at McCluskiegunj makes jams and jellies anymore. Mrs Dorothy Thipthorpe was famous for her jellies and jams and had a very big client base. In the fifties and sixties there was a dentist Dr P Bedell who used to move around visiting his patients at their bungalows on his horse. Since there was no other doctor here, Dr Bedell would also attend to patients suffering from general diseases. Seriously ill patients had and still have no option but to move out for specialised treatment. Mandar, 35 kms from McCluskiegunj, had the nearest hospital run by foreign missionaries. This over a century old hospital known as the Holy Family hospital still exists at Mandar. However the facilities at this hospital are not as good as it used to be in the olden days. McCluskiegunj has had its share of the Wild West. The Friday market at Hesalong village which neighbours McCluskiegunj hosts the oldest weekly market. Where there is commerce, there is money, and this fact did not go amiss to the dacoits in the area. There were occasional dacoities in the area by dacoits on horseback carrying guns. They would explode bombs to scare people. The last large scale dacoity in the area took place in 1975. While it is unlikely that police has become more efficient, most probably the dacoits have found greener and more profitable ventures. It does not make much business sense – for the return on investment for the dacoits in robbing a small weekly market is not very high. Anglo Indians as a community have been attached to the Railways in many capacities, may that be supervising track laying, loco inspectors or manning the steam engine or providing managerial and technical support. There is another interesting association with the railways in which one Anglo Indian family was involved. In the early fifties an Anglo Indian couple Mr and Mrs Kearney, who were among the first settlers, ran the only canteen at McCluskiegunj railway station. Mrs Kearney continued to run the canteen even after her husband Bill Kearney expired. She sold not only tea but also homemade biscuits and bread. After Mrs Kearney passed away the canteen continued operation under Mrs Kearney’s servant Majid Ansari who finally became the owner. With time, the Railway decided to rebuild the canteen, but refused to allot the canteen to Majid since he owed rent to the Railways. The canteen did good business when the Kearney’s were at the helm of the affairs. The steam engine run trains would stop for more than half an hour at McCluskiegunj for topping up the water tanks. However with advent of diesel engines, the stoppage reduced to two minutes and the business declined. As things stand today, McCluskiegunj has a number of derelict bungalows with the residents having long left. The walls which have seen better days now remain cracked, the roofs leaking and the tiles chipped. Many of the houses have been bought by locals and used for storing agricultural produce or have been converted into student hostels. Many bungalows remain abandoned because the inheritors are not in the country, and the care takers have long died or left. Student Hostels is the biggest economic driver of the McCluskiegunj. Presently there are 40 hostels, 4 of which are run by Anglo Indian families. For the seven Anglo Indian families who still live here, the club remains silent, the Christmas carols are muted, and the hope for the place has somewhere disappeared in the creases of their faces. The Anglo Indians culture has slowly started to fade. In normal course we eat Indian food of subzi, roti and dal. Once in a while we do cook Anglo Indian recipes like vegetable stew, chicken roast, yellow rice & jalfraizi, pepper-water and puddings etc. Our British accented English is also getting an Indian tinge. Earlier the women folk would wear skirts and blouses, bell bottoms accessorized with scarves and hats. Now it is mostly sarees and salwar kameez. I feel there still remains a lot to look forward to. Tourists come to this place, and also the descendants of the old residents mostly in search of the family graves and records. Recently the Government of Jharkhand has declared McCluskiegunj as a place of tourist interest. This would bring funding and infrastructure to the place. Tourism can potentially be a promising economic driver. There can and should be no free lunches. The onus is as much on the residents as it is on the state government. The residents have to make an effort to maintain the character of McCluskiegunj not only for tourists but also as a tribute to our ancestors who dreamt of a homeland for the Anglo Indian community. There is an urgent need to document the available records, photographs, oral history before it is lost. This has to be put up on display at a museum in McCluskiegunj. There is also a need to inform and educate the Anglo Indian Diaspora about the importance of McCluskiegunj and encourage them to invest in property and also in preservation of the place. The biggest issue which McCluskiegunj faces today is the coal siding planned here. This will throw up coal dust polluting the environment of the Gunj. It is also apprehended that Coal India might extend its Rohini coal mining project up to Hesalong, a village which is part of McCluskiegunj. The first victim of this would be the Janet Academy, a popular school, which falls within the earmarked mining area. This bungalow at McCluskiegunj which once belonged to Buddhadev Guha, the man credited with making McCluskegunj popular by portrayal of the place in his novels in bangla. 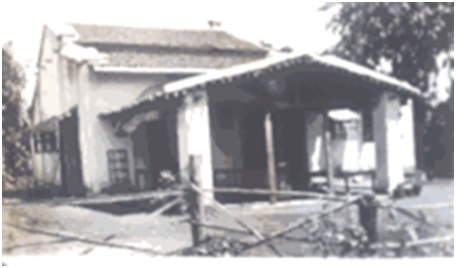 Original owner was Allen Menedis who sold the house to the Gabrails, who further sold the house to Guha. Guha sold the house to cine actress and now an acclaimed director Aparna Sen, who in turn sold to one Mr Mitra. The house presently belongs to the brother of the former Union minister Subodh Kant Sahay. In a positive development Mr Glen Galstuan, Anglo Indian MLA, Jharkhand, raised the issue of the coal siding in the assembly. Mr. Hemant Soren, Hon’ble Chief Minister of Jharkhand assured on the floor of the assembly that McCluskiegunj will be saved from getting ruined. Finally, in mid August 2014, all activity in relation with the coal siding was stopped. We hope that this is not a temporary respite but a permanent solution. We do not want McCluskiegunj to be known as Chotta England. We wish McCluskiegunj to be known as an example that India cares for her diversity of culture and history. Great informative page. I learned a lot here. I would be interested to know more about your Mendies ancestors as I have been doing some research on the Mendies family of Calcutta for several years and presume that yours is an offshoot. Was your grandfather Harold Allen Sidney Mendies born 1916 at Simla who married a Leonie Claudia. (surname unknown) ?. I will get you in touch with Malcolm Hourigan who wrote this article he will be able to tell you more details. I have mailed to Malcolm with cc to you. Sorry for the delayed reply…. Yes, you hit the nail on the head. Harold Allen Sydney Mendies was my maternal grandfather who expired in 1994. His wife was Leonie Clauda (Loveday)…. Were your grandfather’s parents Allen Lewis Mendies and Kathleen Marie Lumsden and if so when did they die? I have traced the Mendies family back to a John Mendies (1785-1863) of Calcutta and Serampore who was a translator and lexicologists and had dictionaries published on the Baptist Mission Presses. I haven’t been able to discover the name of John’s wife or wives but of the 9 children I do know about, 4 died in 1832 during a smallpox outbreak in Serampore. My brother-in-law descends from John’s 5th son Lewis Augustus Mendies and his 2nd wife Bridget Harrington. Our family built and owned two houses next to the Anglican church. My parents Paul and Monica Francis settled in McCluskiegunge in 1939. Eventually sold to the Thipthorpes in 1952 or 53(now a convent or orphanage) left for Kolkata and both died within six weeks. My eldest brother Sid died in Australia.My second brother Les died in Canada at 94 Yrs. last year. My sister Gwen died in Canada in 1998 at 69 yrs.My third brother lives in New York. I am the youngest at 80 yrs living in Ontario Canada. I would like to know what has happened to the Catholic cemetery where my grandmother was buried. 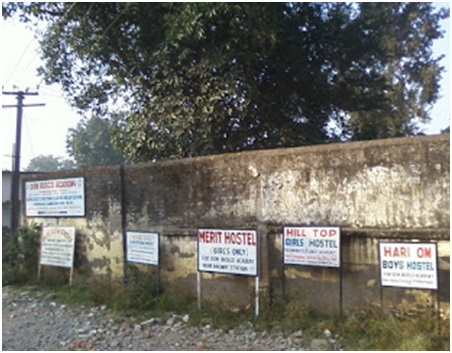 Your property still stands, modified over the years and is now a school and hostel. The cemetery is in a very badly ruined way… No boundary wall, bushes growing between graves, villagers using it as a place to empty their guts early morning etc… But nearly all the graves still exist. Last year, my two brothers-in-law raised some funds and had some cleaning done for a service held on All Souls Day. We are trying to have the boundary wall done… Do follow mccuskiegunj. blogspot.in for more info. on the Gunj. I was at Holy Family Hospital, Mandar for 8 years, about 30 years ago. This hospital is quite close to Mcleskiegunj, and we use to get patients from there. While studying at St. Xavier’s School , Hazaribag, I had a classmate from Mcleskiegunj. His name was Philip Thipthorpe, and I remember he use to bring very nice and tasty jams , jellies and pickles. I wonder if he is still around , I would like to really meet him. Great to know of your connection with McCluskiegunj. As per the info. I have of Mr. Phillip Thipthorpe, he is no more. 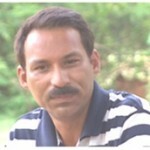 He left McCluskiegunj years ago and was in Assam last. Though I’ve never been to McCluskiegunj, I’ve always wanted to, and the reason is the place I live in: the Salboni Colony near Jhargram, in West Bengal’s West Medinipur District. The house where I live is an old bungalow that my grandfather bought in 1949 from Mrs Elizabeth Franz, who was migrating (to Australia, I think). Yes, this Colony was also an Anglo-Indian Colony. A large tract of land was bought by the pioneers, Gordon and Lusby (for the princely sum of eight annas a bigha (about Re 1.23 an acre) and then sold to different families. Our neighbours were the Watsons and the Johnsons and the Staples. Mrs Eden used to serve a lovely English afternoon tea spread on a lace tablecloth. There were the Greens, the Barbers, and the Millers. McCarthy was infamous as a poacher and smuggler. Mr Martin used to make soft and light sugar buns and cakes at his bakery. Mr Gough-Govia was Sheriff of Calcutta at one time. The O’Connors were an exception; they came in 1952, when the others were leaving. Similarly, Mr Philips came to Tata Colony (an adjoining Anglo-Indian colony; as the name suggests, they were mostly from Jamshedpur) in the 1950s. Today, all of them are gone. Many have migrated. Many have passed away. Others sold off their property as they sank into poverty. Looking through one of my grandfather’s old files, I found a poignant reminder of broken dreams. Very polite notes from Mrs Gordon (one of the original owners) to my grandfather; most of them went like this: “Dear Mr Gupta, Could you kindly send me Rs 10 per bearer of this note? There is no rice in the house and I need to buy some. I shall pay you back as soon as possible…” Sometimes they asked if he would take a piece of furniture in lieu of payment. When Kolkata’s pollution gave me a severe respiratory problem, I decided to shift to Salboni. 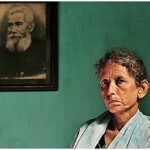 The last of the Anglo-Indians died within the last decade. I am among the last in the Colony who have memories of them. Dear Malcolm,it was really nice to read the article. I have never been to the Gunj but have read a lot about it. I have an urge to visit this place. Being an Anglo Indian I will surely visit this place. The article was really very well written. Congrats and God bless. I think we, the active Anglo Indian of the association, ought to first pay a vist to McCluskiegun and maybe then plan a larger get together of AIs if this is possible. Hats off to Malcolm Hourigan and the other AIs out there for diligently hanging on this our heritage, and to keep it going. Maybe with the many more like-minded people we could revive whatever is left of our legacy. Look foreward to some information on the house Rosevilla at McKluskiegunj. My Grandfather was asked to help establish the gunj but instead opted to settle in Vizag as a retired Judge. My Dad was a Hooghly River pilot and bought the place in about 1962 and me and my wife had our honeymoon there in July 1970. Know the place well. Best regards Bob Thorpe. Now retired in Sydney. Great to hear from you. A picture of your family in this article and you have just come in on time… Your property can still be saved! It is great to see a renewed interest on McCluskiegunj. I and Malcom are seriously thinking of a digital archive on MeCluskiegunj, which will be accessible on the internet. In an way this will be a Mucluskiegunj Museum on the internet and feature the history, records, church entries, memorabilia, old photographs etc on the Gunj. Let’s hope we are to build such a digital archives with the help from each and every resident of the Gunj present and past. This place is a part of Indian legacy and history and reminds us of a proud community which has contributed to the nation in many innumerable ways. Such an endeavour would require funding which we are trying to garner. Once that is in place the digital archive will be a reality. I have read over the years about McCluskiegunj- I have very briefly driven through McCluskiegunj. never heard about McCluskiegunj till then–we briefly saw Kitty. To me McClusjiegunj – makes me think I am reading a Historic Novel. It is marvellous and amazing that you uphold a dream of of the Late ET McCluskie. My prayers with you and other Anglo Indian friends who work along with you. I was at school in Mussoorie with the Perkins family from the Gunj. I will forward this very interesting piece to Geoff Perkins in Penticton, BC, Canada also to George Shepherd in Lucknow. Warm greetings with Easter blessings to you and the AI COMMUNITY ……Being an MLA in Andhra Pradesh from 1989 to 2014 I have met so many MPs who had no reply to my question on Mc’Cluskiegunj…I will forward this article to Prof. Hay one of the two MPs with a request to pass it on to Mr. Baker….maybe this can spur them on to have a Community or Convention Center and restore to its former glory. I will checkout your blog…. I wish you can inbox me. Incidently you have mentioned Col. James Skinner who has been a benefactor and that”s a rare picture you have of him… Looking forward yo hearing from you…. I am very interested to know more details about your Mendies ancestors . Found this information very interesting, even more so when I saw the photograph of Allen Mendies and his family. These are my great grandparents too, their two daughters, Dorothy (my maternal grandmother) and Beryl and son Harry. My mother Sheila and her family lived in a house in Mcluskiegunj and the last we heard was that Brian Mendies was living in the house? Could this be an uncle of yours possibly? My mother remembers a fair bit and I’ve heard many a story about their days there from both her and my grandparents (Dorothy and Arnold Taylor) which have always fascinated me. Would really love to visit some time. Were your great grandparents Allen Lewis Mendies and Kathleen Marie Lumsden and if so when and where did they die? I have traced the Mendies family back to a John Mendies (1785-1863) of Calcutta and Serampore who was a translator and lexicologists and had dictionaries published on the Baptist Mission Presses. I haven’t been able to discover the name of John’s wife or wives but of the 9 children I do know about, 4 died in 1832 during a smallpox outbreak in Serampore. My brother-in-law descends from John’s 5th son Lewis Augustus Mendies and his 2nd wife Bridget Harrington. I have put the family tree on ancestry but would appreciate any corrections or additional information on the family. Elder: Dolly Taylor (nee Mendies) had an only child, Sheila Mendies. Younger: Beryl Pratt (nee Mendies) had two daughters Janet and Brenda. Harry Mendies (my grand father) had eight children Brian, Doreathea, Jean, Harold, Kathleen (my mother), George, Charlotte and Lorraine. Great grand father and grand parents buried in McCluskiegunj. Janet is in Canada, Brenda is U.K. The rest of them (grandma, uncles and aunts) went to U.K., where they all passed away one by one. Their house in McCluskiegunj still stands though in a bad shape. It was sold to Brian’s daughter’s father-in-law and then it came down to Yvonne (Brian’s daughter) who sold it to a Mr. Jha from Patna. The beauty of it had all gone by then. Get in touch and we can share some old photos if interested. Apologies, have only just seen your reply and thank you for doing so. I will make a point of checking back here from now on. It would be great to share some photos. Let me know the best way to send them over to you. Hello, Malcolm, Thank you for the wonderful article on the Gunj. My grand-uncle, Pastor NG Mookerjee and his wife Noreen (neé Dowman, of Calcutta) bought a house in the Gunj back in the late 1960s/early 70s. They named the house Erin’s Isle. Pastor Mookerjee was a prominent figure in the Seventh-Day Adventist Church. He was the younger brother of Pastor L.G. Mookerjee, famous for spreading the gospel in what is now Bangla Desh. The Mookerjees have passed on now. I wonder if Erin’s Isle is still standing. Any information you can give about their McCluskiegunj days would be greatly appreciated. Thank you. Hi Malcolm Uncle.. Your article is very enlighting.. 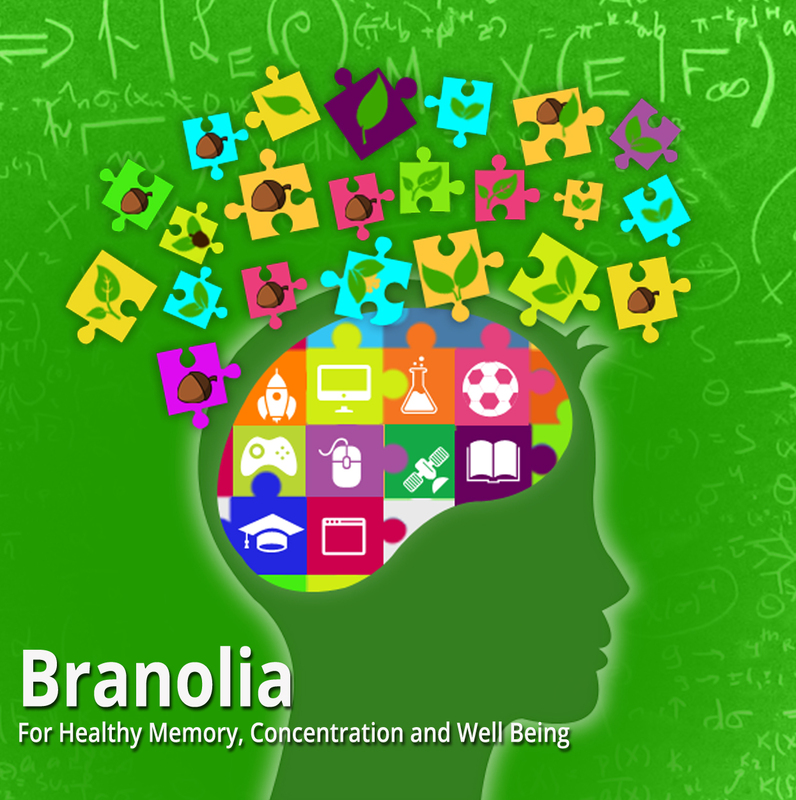 It was a great experience.. Also it helps me alot in my college project.. Thanks for helping me on that.. You are doing a great job..
Hi Malcolm Uncle.. Your article is very enlighting.. It was a great experience.. Also it helps me alot in my college project.. Thanks for helping me on my project. You are doing a great job.. I have been doing plenty of research about the Thipthorpe family (my great great grandmother was Mary Thipthorpe) and in trying to find further details about Mary’s brother William, came across your website. Are these Thipthorpes descended from William Thipthorp? Hi Malcolm , I love reading all your posts about McCluskiegunj ! I grew up there ! It was a magical life that i carry within me always ! 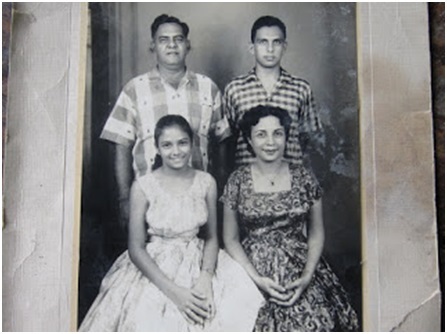 My Beloved Grandparents were Mr and Mrs Cabral … I thought that Nana and Dada bought our house from Mr and Mrs Newing ? Any photos of our place or news about The Gunj is always welcome ! I would love to know what happened to our much loved servants … Zakir our one legged cook , Moneh our gardner , Ayah , Luckyah , Jeera Dhasso , Ramkrishna , Bussia and our dear friends the Matthews ???????????????? Congratulations on a very interesting article. I hope this site (page) is still active and that you receive this message. I have always had an awareness of McLuskiegunj and its Anglo-Indian connections and history but never had the opportunity to see the place. Good to see that the name is still holding on as well. I hope to be in India some time this year and will be visiting Kolkata and Hazaribagh. What’s the best and easiest of ways to get to Mcluskiegunj from either of those points? if you can send me any relevant info to my email address (without publishing it) I would be much obliged. Many Thanks. I have been watching your videos and reading the blog which is very interesting. I am visiting my wife’s cousin. 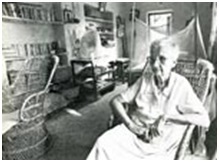 Her father -in-law who resides with her in Ahmedabad is an old resident of McCluskieganj, having grown up there. The family name is “Court”. I am wondering whether you can talk to him, as when I shared the videos of McCluskieganj, it was a trip down memory lane and he even recognized his dad’s grave in the cemetery with the name BERNARD in the black cross. He is very keen on knowing more about the state of McCluskieganj. My Mother In Law who is from Calcutta know the Dobson family extremely well. Thank you for a most interesting article. You mention one of my relatives, Dr P Bedell. I am the granddaughter of Cliffford Bedell, who I believe was Percy’s brother. I think my father may have some photographs if you are still compiling documents for a museum and if there is any information we can provide for you, please just ask. Could you tell me if the land owned by the family was sold or is it part of the abandoned property you mention in your article? I am currently in India, my third visit, but I have not yet been to McCluskieganj, not knowing if there is anything left of the Bedells in the area. Many thanks, Andrea.